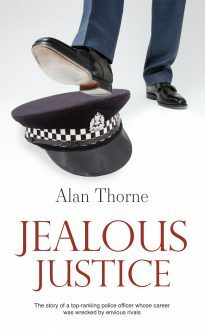 Alan Thorne, the son of a soldier and a midwife from the Welsh Valleys, rose through the ranks of his local police force to become a chief superintendent in his early forties, with an outstanding reputation and several awards and commendations to his credit. However, along the road he made one or two enemies. This is the story of how a decent ‘top copper’ found himself framed by jealous colleagues for a non-existent offence and had no choice but to resign from the force and rebuild his life – and how he then found himself facing a terrible personal tragedy. A fascinating and very frank insight into how policing works – and how sometimes it doesn’t.